Bing uses different indexing algorithms and a redesigned SERP, which donâ€™t always deliver the most relevant results, but do perform satisfactory in the fields most targeted by Microsoft: health, local, travel and shopping. These are the fields with the highest potential for revenue for both publishers and search engines (while they offer the search functionality for free for the general users, all search engines monetize through ads and the four industries above are the best paying ones). Ultimately, SEO is still SEO. Bing doesnâ€™t change that. Bingâ€™s new user interface design simply adds new opportunities to searchers to find what the information they want more quickly and easily, and that benefits webmasters who have taken the time to work on the quality of their content and website design. Bing removes duplicate results from categorized results lists, which allows other, lower ranked pages to be shown in the categorized results on its SERP – hence the poor quality of some results. Other respondents (like GlobalPatriot for example) take the â€œwait and seeâ€� approach. Like any other search engine, Bing derives standard captions from unique titles and meta description tags. Writing relevant page titles and meta descriptions is a must, especially if you want to win visits from the searchers who use Bingâ€™s â€œDocument Previewâ€� to be sure that the content they are seeking is actually available on your site. Good content and SEO remain a very important aspect in developing a site, and this is also vividly encouraged by the Bing Webmaster Center Team. Best of all, the type of SEO work and tasks webmasters need to perform to be successful in Bing havenâ€™t changedâ€”all of the skills and knowledge that webmasters have invested in previously applies fully today with Bing. 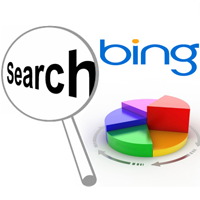 Moreover, investments in solid, reputable SEO work made for Bing will bring similar improvements in your websiteâ€™s page rank in Google and Yahoo! as well. â€œBing: New Features Relevant to Webmastersâ€� does not mention other SEO practices: there is no mention of an algorithm, no mention of linking strategies that might work, nothing but â€œon pageâ€� SEO. However, we can safely assume that the SEO strategies that made a site rank high in Liveâ€™s SERPs still work. One thing is certain: Bing is based on Powerset, which attempted to rank sites based on semantic technologies. This could mean that â€œmeatierâ€� content has more chances than sites that focus more on visuals.